Medicine ball throws are great for developing explosive power, and can be used as an alternative to Olympic lifts. These exercises strengthen and stabilize the core musculature, reinforce the biomechanics of force generation, reflect the demands and movement patterns of many sports, and can be performed in virtually every plane of motion. Here’s one of the total-body exercises we use with our athletes to build explosive power. This triple extension exercise is basically a heavy medicine ball clean and jerk, immediately followed by a forceful vertical or horizontal push/throw. 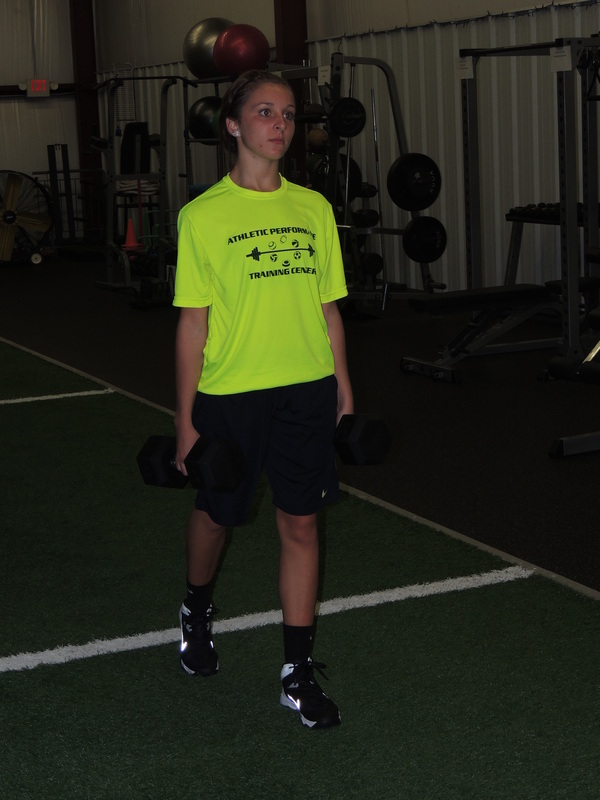 In the first video, Julianne — one of our high school basketball players — demonstrates the exercise with a 25 lb. medicine ball and a vertical throw, pushing the ball as high as she can. Note how she uses her hips and legs (with minimal bend at the waist and back involvement) to get under the ball and generate force. 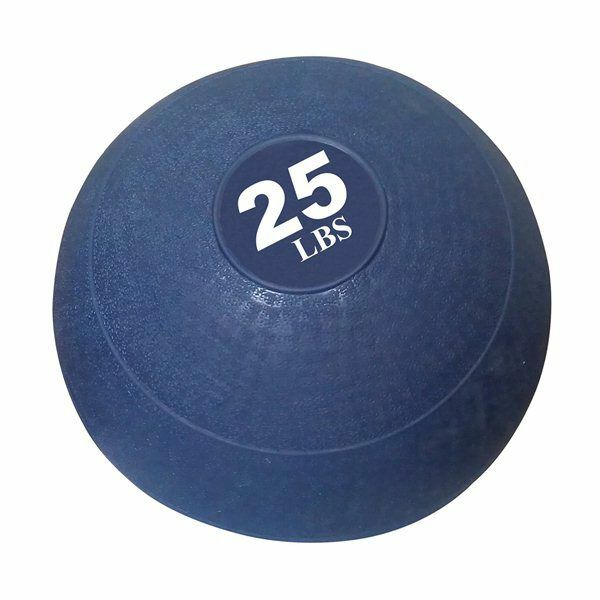 In the second video, Julianne uses the same medicine ball with a horizontal throw, pushing the ball as far as she can. Mechanics and technique — hip and leg drive — are similar to the first exercise. 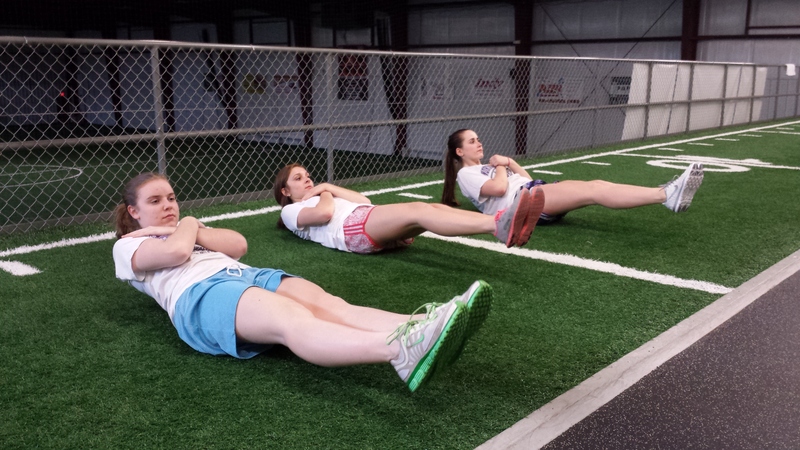 We have our athletes perform 3 sets of 4 repetitions, with a one minute rest between sets. Typically, these types of (power) exercises are placed at the beginning of a workout, following an appropriate, dynamic warmup. Several months ago, I published a blog post titled, Switch from Machines to Free Weights, which espoused the benefits of free-weight exercises because of their ability to engage more muscle groups and improve core strength and stability. Here’s a nice resource from Healthy Living: 6 Machines to Avoid at the Gym. The article provides additional insight into this issue, offering alternatives to 6 commonly used machine exercises. If you want to build stronger arms (and what athlete doesn’t? ), you’ve got to work from the inside out. That means your focus should start with your core and work through your shoulders and arms. Keep in mind that to build strength and power – for most exercises – you will want to work with a weight that challenges you for 4-6 repetitions per set (and may require a spotter). Maintain good form and technique, perform the exercises with a full range-of motion, and allow adequate rest between sets. It all starts with your legs. Yes, I know this article is supposed to be about arm strength, but don’t neglect your core and lower body (more on this in an upcoming article). Whether you want to improve your jump shot, throwing velocity, or bat speed, strong arms can’t compensate for a weak core and legs. Exercises like squats and deadlifts will help you build the leg drive necessary to hit those three-point shots, throw fastballs past the opposing hitter, or drive the ball over the outfielders’ heads. Hit the bench. 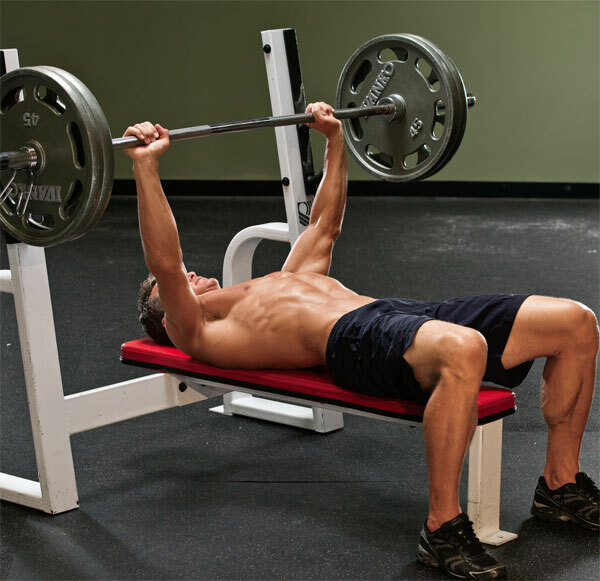 The bench press exercise is a gold-standard upper-body exercise for a reason. At Athletic Performance Training Center (APTC), we like the barbell flat bench press as our preferred bilateral, upper-body exercise. Work both sides. Unilateral exercises help to ensure that your “weak” side is working as hard as your strong side. 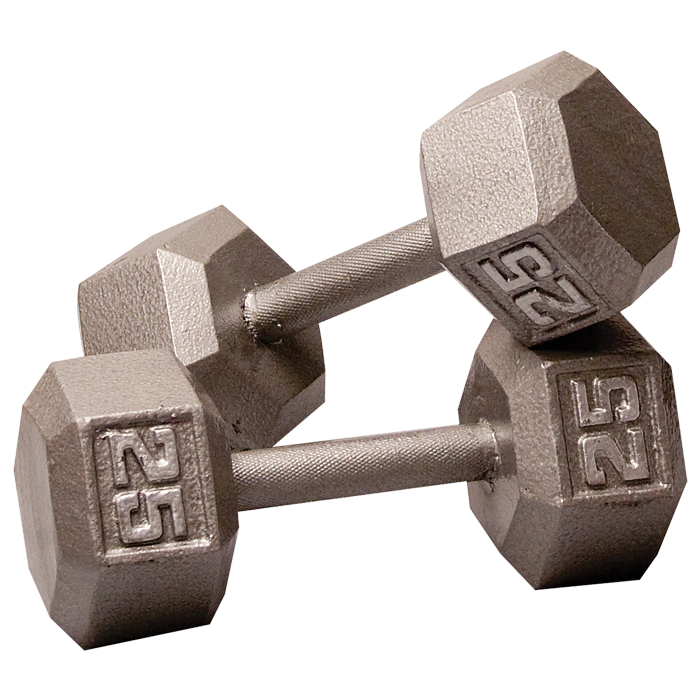 Grab a pair of heavy dumbbells and perform the dumbbell flat bench press exercise. For variety, you can do this exercise simultaneously, alternating, or iso-laterally (one arm at a time). Alternate with the barbell bench press so that one week you perform the exercise with a barbell, and the next with dumbbells. Row your boat. Agonist-antagonist paired sets – pairing exercises that work opposing muscle groups – are a great way to build strength and reduce the incidence of injury by strengthening the muscles around a joint. Exercises like the bent-over barbell row, dumbbell row, and seated cable row should be included with the bench press exercises. Dumbbell and cable rows can also be performed unilaterally. Push it up. 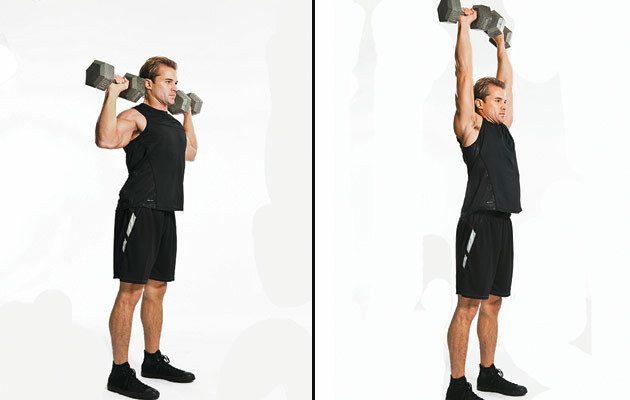 Shoulder presses, with a barbell or dumbbells, work the muscles of the upper-body and arms differently (in a different plane) than the bench press – vertically instead of horizontally. Perform this exercise standing, and not sitting, to get more of your core involved. Pull it down. Like bench presses and rows, shoulder presses can be paired with lat pull-downs (bilateral or unilateral), chin-ups, or pull-ups. Chin-ups and pull-ups are challenging, but you can start by doing them with a band or spotter. Here’s a bonus. Don’t overlook good old-fashioned pushups. You can do them anywhere, and there are about a million variations. We still incorporate them into our training regimen at APTC. There’s no argument that exercise machines are mostly convenient and easy-to-use. Hop on, set your resistance level, and go to work. However, recent research from the University of South Carolina (excerpted in Men’s Health) revealed that men who train with free weights are less likely to have lower back pain than those who use weight-training machines. Instead of machines, perform exercises in which your back is not supported, like pushups instead of chest press machine, and standing dumbbell shoulder presses instead of the shoulder press machine. Planks are another good alternative for building core strength and stability. If you read my blog regularly (and thank you if you do! ), you know I’m a proponent of the development of – and importance of – core strength and stability. Whether you’re an athlete or not, a strong, stable core facilitates everything you do, and every movement you make. 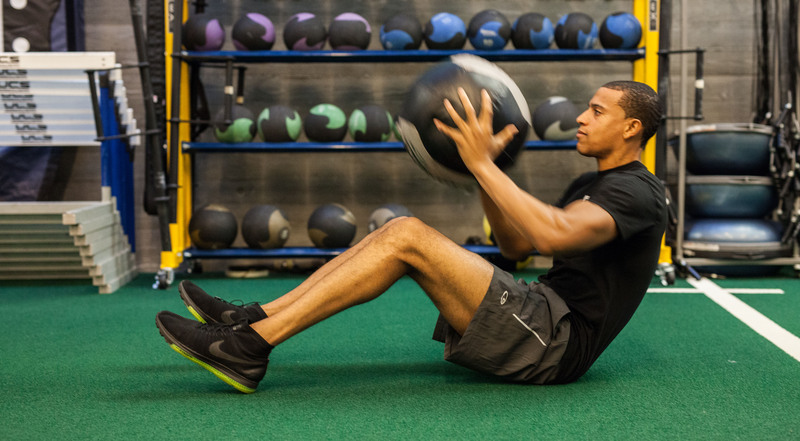 Here’s a nice resource from our friends at Bridge Athletic – authored by Megan Fischer-Colbrie – titled, The Importance of Core Stability in Athletes. In her article, Megan discusses advantages of core stability for athletes; the role of core training in injury prevention and rehabilitation; and the advantage of building a strong foundation that starts with the core. She also provides some useful core strengthening and stabilizing exercises. Most of us are fairly traditional when it comes to working out at the gym. We don’t stray far from exercises like the bench press and squat (nothing wrong with that… they’re beneficial exercises). And, of course, if you’re a guy you spend way too much time working on your arms. The farmer’s walk is a weighted carry exercise that’s terrific for building functional strength. This exercise will not only challenge your core, it will also strengthen it, making you stronger in everything you do. Grab a pair of dumbbells (you can also use kettlebells or weight plates), each weighing about a half your body weight (1/3 for females), and let them hang at your sides. If you have to, you can use lighter weights. Try to maintain perfect posture — head and chest up, shoulders back, core tight. Walk 60 feet with perfect form.